You might be reading the title above and wondering what you are going to read further. Well, if you have interpreted it as some kind of a mock-title, then you’re going to be fairly disappointed. But hold on, Microsoft Windows Phone is virtually nowhere when compared against Android and iOS, you say; I say, not yet! If you haven’t been aware, there’s a lot happening around the Windows Phone universe. And yes, things have finally started to look brighter over there. Windows Phone has come a long way from what it was back then in 2010. It’s true that the development has been too slow, and that, it might be a bit too late for Windows to compete in the Smartphone market. Microsoft has experimented a lot with different strategies and more than success, it has met failures down the road. But after a long struggle, they finally seem to be going in the right direction. Going forward, it shouldn’t be much of a surprise to see Windows Phone occupying a considerable part of the global Smartphone market share. One of the major problems that Windows Phone had to struggle with as a Smartphone operating system is to establish itself among the people. By the time Windows Phone came into the picture, both Android and iOS had stabilized their position. iOS was primarily designed for the premium high end users and Apple built their own hardware for running iOS. Google’s Android was open source, which meant that any phone manufacturer could use the Android OS to power their phones. This played a major impact on Android’s popularity. As more manufacturers released low and mid-range Android devices, more people could afford Smartphones. Hence, Android reached the masses faster. Windows Phone took a different strategy. They partnered up with specific OEM partners who built compatible hardware for running run Windows Phone OS. Being a new Smartphone OS, the OS had a lot of bugs, less developer interest and lack of popular apps. The first generation of Windows Phone devices running Windows Phone 7.x couldn’t make a considerable impact on consumers. By that time, Both Android and iOS had grown and evolved, and many suspected that Windows Phone was doomed for the same fate as Symbian, Meego and other wannabe popular mobile OSs. In October 2012, Microsoft came up with an entirely new generation of the operating system, known as Windows Phone 8. Windows Phone 8 was built on the Windows NT kernel (instead of Windows CE kernel used in 7.x) and was reported to have shared many components with Windows 8, Microsoft’s other operating system optimized for desktops, laptops and tablets. Meanwhile, Nokia, one of Microsoft’s OEM partners, took the Android strategy to push Windows Phone to the masses. It announced a series of low and mid-range Windows Phone devices (Lumia 520 and 620). Good for Nokia and Microsoft, the strategy worked. The Nokia Lumia 520 became instantly popular, not only in developing countries, but around the world. This played a major role in popularizing Windows Phone 8. Of course, Nokia’s flagship of high end Windows Phones, like the Lumia 920 and 1020 also contributed to the popularity. Sure, low cost Windows Phones were announced in order to reach the masses, but one thing the OEMs (especially Nokia) didn’t compromise was the performance and quality of user experience offered. Even the sub -$100 Lumia 520 demonstrates the quality of hardware Nokia is famous for. And as for user experience, Windows Phone is quite a resource friendly OS, and you can play around with it without experiencing any considerable lags. Compare this fact to the low cost Android devices, and you’ll surely agree about Android being more “laggy”. Another advantage of Windows Phone OS is the fact that you get dedicated support along with regular updates from your manufacturer. The process might not be as seamless as Apple’s software updates for iOS (due to multiple hardware manufacturers being involved), but eventually, the updates are sure to reach you. In Android’s case, the same isn’t true. Some of the bigger brands, like LG, Samsung and HTC do provide occasional updates; they don’t apply for all Android devices. Many Android phones are still running Gingerbread in the era of Kitkat. Some of you might argue that support for Windows Phone 7 ends on September 2014, just 18 months since its life cycle start date. True. And many Windows Phone 7 users are still to get their latest update 7.8. But as I mentioned earlier, Windows Phone 7 was quite a failure for Microsoft. But Windows Phone 8 is quite a different story. Microsoft changed their mobile OS strategy with Windows Phone 8. It seems unlikely that Microsoft is going to abandon the current generation of Windows Phone devices, especially when they are content with its progress. The extension of support life cycle from 18 months to 36 months, and the fact that Windows 8 had just received a free update, suggests that Microsoft may be moving forward with the current strategy. If you are still not convinced, look at the number of updates Windows Phone is continuing to receive over the past year. These updates contain several bug fixes as well as feature updates to enhance your Windows Phone experience. Microsoft has been trying really hard to encourage developers for creating apps for the Windows Phone platform. Though you’ll find most of the popular apps on Android and iOS (along with a few good alternatives to the official ones), Windows Phone Store hosts only about a tenth of the number of apps in Google Play or App Store. Windows Phone faces more of an egg-chicken anomaly when it comes to app development, Developers don’t want to create apps on a platform with fewer users and users don’t want a platform where there are fewer apps. Nokia and Microsoft joined hands to solve this issue. They have worked with several companies in order to create Windows apps for them. And as the app count slowly goes up, more people are getting interested in the platform. Windows Phone Store now hosts more than 175000 apps. Not only that, Microsoft has also launched a new platform with the help of which, anyone could develop HTML 5 based Windows Phone apps, free of cost using graphic based tools. Then, Nokia came up with their imaging SDK to help developers create apps for photography. Microsoft and Nokia’s hard work seems to have paid off finally as Instagram is coming to Windows Phone. Nokia announced the news during the Nokia World event held in Abu Dhabi on October 22, 2013. We are also hearing that BlackBerry might be working on a Windows Phone version of BBM. If it’s true, then this might well trigger the interest of hundreds of developers to develop apps for the Windows Phone Platform. 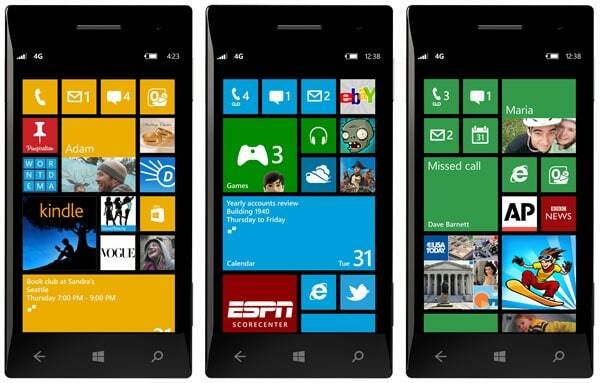 Windows Phone 8 has already received an update since its launch, known as the GDR 2. According to reports, all Windows Phone devices have received this update, which includes FM Radio, Glance Screen and a few others among new features. Nokia Lumia users popularly call it as the Amber Update. Towards the end of 2013, another update (Update 3) is said to hit Windows Phone, bringing in support for 1080p displays and quad core processors. Some other feature improvements include multitasking enhancements, rotation lock and a new driving mode that diverts calls and texts when you are driving. Microsoft also announced a new developer preview program that allows you to receive updates for your Windows Phone directly from Microsoft. Any person who has a developer unlocked phone, or is a registered Windows Phone Developer ($19 / year subscription), or virtually anyone with a free App Studio Developer account, can sign up for the program. 2014 is also a promising year for Windows Phone, with the alleged Windows Phone 8.1 Update coming to all Windows Phone 8 devices. The 8.1 update will come with an all new Notification Center, and Microsoft’s answer to Siri, named Cortana, among other details. Microsoft recently bought the entire Devices and Services Division from Nokia. About 30000 employees from Nokia is said to join Microsoft at the close of the deal. Stephen Elop, Nokia CEO and a former Microsoft employee will rejoin as the head of the expanded Devices team. It is as if Nokia will exist, but under the name of Microsoft. The acquisition was a very important decision for both the companies and quite delicate too. After the acquisition, Microsoft will be capable of establishing perfect hardware-software compatibility. But the situation has to be steered carefully by experienced individuals. With Ballmer resigning, Microsoft is already looking for a new CEO. Nokia’s Contribution to Windows Phone is undeniable. A good leadership is all it needs now to take Windows Phone to the next level. While Nokia has the technology and skill, Microsoft has ample resources to convert it into innovative products. Is it a good time for Windows Phone? Of course; In fact there hasn’t been a better time. A series of new updates lined up for Windows Phone 8, developers slowly but surely getting more interested, increased sales of Windows Smartphones; all indicate that this is Windows Phone’s Golden age. And statistics don’t stop there. Windows Phone OS just overtook BlackBerry to take the third place in Global Smartphone OS Shares (at 4.6 %). Experts suggest that it may even surpass iOS by the end of 2018. Will it be true? Only time can tell. But as for now, Windows Phone is surely on the rise.